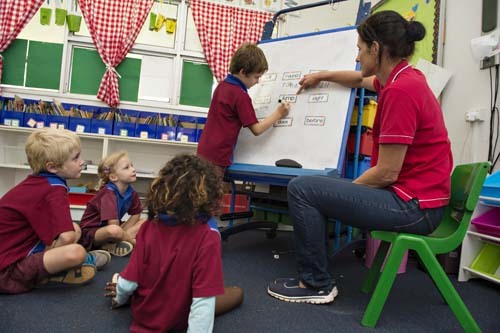 The Department of Education welcomes 57 new teachers to government schools across the Territory. The new teachers attended a two day orientation program that provided information on NT teaching standards, school support services and local professional networks to enable a smooth entry for new teachers into the school and community. This was an opportunity for new teachers to familiarise themselves with the NT Department of Education, including major policy directions. The new teachers also participated in Cultural Understanding Sessions that explored perspectives on NT Indigenous culture, effective strategies for being culturally aware, communicating and negotiating in intercultural environments and reflecting on personal cultural habits and behaviours. Teachers destined for remote schools completed a 4WD course on unsealed roads. The course delivered a range of skills including identifying track hazards and risks, negotiating diverse terrains and using navigational and communication equipment. 36 of the teachers will commence in urban and regional schools, with the remaining 21 in remote schools. The new teachers welcomed students to their classrooms on the first day of Term 3 2016, Tuesday 26 July.